New versions of the once popular “gap” theory are now arising. The motive is the same—to accommodate an old universe (and Earth) into Genesis 1, but to still retain a recent, literal six-day Creation Week. However, correct exegesis with close attention to syntax and semantics, plus the recognition of no verb tenses in the Hebrew, preclude any possible “reading” of long ages into the Hebrew of the key texts, verses 1–3 and 14–16. The strongest argument confirming the traditional view that Genesis 1:1 describes the creation of a young universe at the beginning of Day One of Creation Week is still the link to Genesis 1:2 through the word “earth”. What is popularly known as the “gap” theory of Genesis 1 originally appeared as a “ruin-reconstruction” theory round about 1814 in Edinburgh in Scotland. There has recently come into being a “gap” theory without the ruin-reconstruction element. This article will examine some syntactic and semantic features of the Hebrew of Genesis 1 in order to evaluate these theories, but I will begin by looking into the historical situation. the verb in Genesis 1:2a could be translated “became” instead of “was”. “darkness” is evil in Scripture, hence Genesis 1:2b indicates a falling away from the perfection of Genesis 1:1.
the phrase tohu-wa-bohu always indicates destruction and judgment. All this was said to imply that a terrible catastrophe had occurred between Genesis 1:1 and Genesis 1:2, involving a pre-Adamite race of beings who had succumbed to Satan’s wiles and had to be destroyed. Hence the “ruin”. There then followed a “reconstruction” as described from Genesis 1:3 to 2:4, until the perfect world of Adam and Eve in Eden was brought into being. Other arguments were used, especially one deriving from the King James Version of the English Bible at Genesis 1:28. There, the fifth verb (male) was unfortunately translated “replenish”, whereas the same form in the Hebrew of Genesis 1:22 had been correctly translated as “fill”. People of the nineteenth and twentieth centuries were unaware that “replenish” in the seventeenth century just meant “fill” and was no closer to “refill” than “re-comment” is to “remark”. The prefix “re-” does not always mean “again” in English. However, various supporters of the “gap” theory later tried to claim that their theory was not novel in 1814, by which time many famous but generally unbelieving geology dilettanti had purported to show that the Earth was far more ancient than the Bible seemed to make it. But the truth is that the “gap” theory in the form held then and since cannot be matched by Jewish or Gentile beliefs prior to that time. Claims concerning Origen and other early Christian writers cannot be sustained from their own writings as being in any recognisable way similar to the views of Thomas Chalmers and his sympathisers. 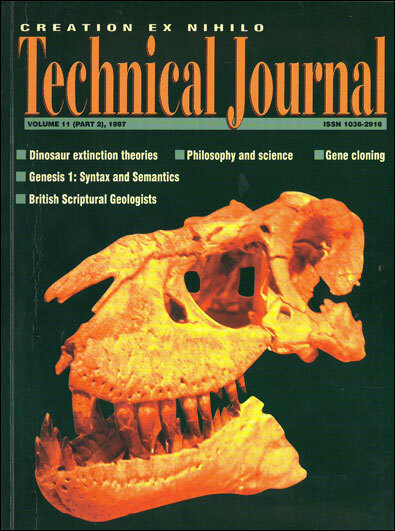 The Edinburgh theory was clearly a response by evangelicals to the views of the growing number of secular scholars interested in geology.1 It suggested that an evangelical view of Scripture could be interpreted in a way compatible with these so-called new discoveries about the length of time required to form fossils and similar phenomena. The issue here is whether Genesis 1 is to be taken as simple, straightforward history from the hand of an all-intelligent God, in preference to human philosophical hypotheses, or whether the thinker starts with those hypotheses and then tries to make the Bible fit into them. Here the first clause is the protasis and the next clause (Genesis 1:2) is the apodosis. All the other major versions make the first clause an independent sentence. These translations (or, strictly speaking, paraphrases) weaken the time element in creation and allow for long times outside the six days of Genesis 1. From the above it will be seen that Rashi made the creation of light the first recorded creation event, and Ibn Ezra gave this privilege to the state of the unformed Earth. In both cases, though more obviously with Rashi, the door is left open to the pagan view that there could be a god operating in a universe already present, at least in part. Such a belief fits not only a number of non-Christian beliefs, but also the philosophy of evolution as originally introduced through the French philosophers and others in the eighteenth century. These translations (or, strictly speaking, paraphrases) weaken the time element in creation and allow for long times outside the six days of Genesis 1. Is there any syntactic justification for such interpretations? the verb tense implications in Genesis 1, especially, for example, in 1:14 and 1:16. The question of the semantics of the word “day”, which also indirectly affects the understanding of the “gap” theory, has been argued at great length elsewhere8 and is therefore omitted here. First, we note that the Rashi/Ibn Ezra interpretations are contrary to the overwhelming testimony for interpreting Genesis 1:1 as an independent sentence throughout Biblical history. 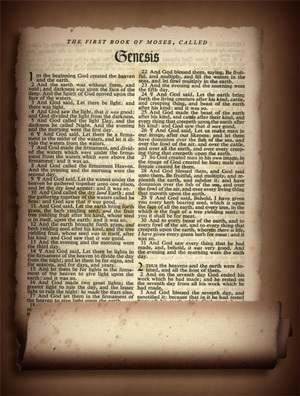 If this clause is regarded as dependent we cannot deduce absolute creation from Genesis 1:1–3, so that if there is a “reconstruction” in verses 4–31, there is room for long time-spans with some sort of Earth in existence before the six-day “re-creation”, which is the essence of any so-called “gap” theory. To establish the traditional understanding of Genesis it will be necessary to examine its possible exegesis and any analogies from other parts of Scripture. Those few scholars who attempt to render Genesis 1:1 as a dependent clause do so because they regard the first Hebrew word, bere’shith, as a “construct”9 form. In this case both construct and absolute share the same phonological form, hence the same spelling. However, the accentuation differs. The Masoretes accentuated the word as absolute, therefore to understand the clause in which it stands as dependent means disagreeing with the accentuation of the Masoretes.10 Semantically it means taking the root re’sh(ith) as a verbal noun (“the beginning of”) or a verb (“began”). Those who accept Masoretic accentuation take re’shith as a simple noun. However, we do note that re’shith is anarthrous,11 which normally suggests an idiomatic or in some sense a close relationship between the prepositional particle be- and the noun re’shith. This feature is significant, since a parallel expression, bayom (literally: “in the day”), found throughout Scripture, is equivalent to the adverbial conjunction “when”. This suggests that bere’shith should not be taken as an adverbial conjunction plus verb (“when He began”), but as an adverb phrase (“at the beginning”, or “first of all”). It then follows from the syntax that in the semantics of Genesis 1:1 we must take re’shith as “beginning”, meaning “the beginning of the universe” and not as the action of God in “beginning to create”. So much for (i) the opening two verses of Genesis. As for (ii), the verb tenses in Genesis 1, we begin with the syntactic problems in verse 2, given that verse 1 is an independent sentence. Here we have a verb form which differs from the majority of subsequent verbs in the chapter. This verb haythah is in the perfect form of the verb “be” in Hebrew, and is feminine, agreeing with “earth” in both verses 1 and 2. It is equivalent to English “was”. Syntactically, the first item in the verse is not the verb, but the word we-ha’arets, in which the initial we- is translated “and” in many Bibles. Hebrew scholars describe this particle as “waw circumstantial”, as opposed to “waw consecutive”, the form opening verse 3. But the former is not strictly equivalent to “and” in English and is better translated as in the New International Version and other translations, that is, as “now”. Thus the first clause in verse 2 is circumstantial, while the first clause in verse 3 is consecutive. The event in verse 3 happened after the situation in verse 2, whereas the situation in verse 2 represents circumstances obtaining when creation was at its beginning. Note the same form of the waw particle, the same word for “was” and the same initial word order. The status, then, of each clause can be gleaned from the introductory waw where one exists. The events of the Creation Week are consecutive where the verb is not jussive (“Let … be”), cohortative (“Let us … ”), imperative or infinitive. Hebrew verbs do not have tenses (past, present, future), but aspects (single event, continuous event, completed event). The perfect form of a verb normally represents a single event or a completed event, hence is principally used for past events. The imperfect form is used for a continuous event going on in either present or future. This arrangement is upset in narratives, where the first verb is usually perfect and subsequent verbs imperfect, even though they represent subsequent single events. There is no way of identifying tenses as such from verb forms, though it is possible to identify the order of events. The context, which includes other parts of speech, can often determine tense. In the case of Genesis 1 the waw forms do most of this work and word order does the rest. There is, for example, no such thing as a “pluperfect” verb form in Hebrew. To arrive at a pluperfect in English it is necessary to examine the semantics as well as the linguistic context. The existence of a subordinate clause in a narrative, especially after “when”, generally points to an English pluperfect as a translation of the verb in that clause. This is the case with Genesis 2:8: “the man He had formed”. In Genesis 2:19, the circumstantial clause structure points to the pluperfect “the Lord God had formed … ”, and the context of Genesis 1 confirms this. In contrast, the verb in Genesis 1:16 is perfect and is not in a subordinate clause; hence it is equivalent to the English preterite (“So God made … ”). In common with many other non-European languages, Hebrew prefers a chronological sequence for narration. For example, the Greek record in the New Testament of the death of John the Baptist in Matthew 14:3ff is too complex for direct translation into some non-European languages, where the order of events would have to be rearranged chronologically to make sense. In Genesis 1 we can be sure that the events are told in the order of their occurrence, so that the pluperfect could not logically be introduced, for example, in connection with the light-bearers on semantic grounds, let alone what has already been shown from a syntactic and morphological point of view. In recent times a new kind of “gap” theory has made its appearance, in which there is no ruin or reconstruction. Hence the weak arguments about the Earth becoming chaotic or about the negative aspects of darkness are no longer offered. All that is claimed is that the stars and planets, and the rocks and waters on the Earth were supposedly in existence long before the six-day creation of Genesis 1. (This is of course illogical, for why should God create light in Genesis 1:3 if stars were already shining brightly?) It is immaterial whether these long ages precede or follow Genesis 1:1. To make this plausible there is sometimes an appeal to take 1:14 and/or 1:16 as pluperfects in English, suggesting that God had already made the Sun and Moon at some previous time. However, as argued above, the pluperfect cannot be obtained from the Hebrew text. Table 1. Hebrew verbs in Genesis 1. In order to make it quite clear to the reader how tight are the sequences of events during the Creation Week, I have set out in Table 1 the syntax and semantics of the verbs in the whole chapter. In effect, to provide the “gap” it is necessary to extend the first day to accommodate a geological “prehistory”. Finally, we need to dispel the notion that some reduced form of evolution could be consistent with Genesis 1. Some would compromise, for example, by ruling out slow biological evolution through lack of evidence in the fossil record. However, they want to retain geological ages for the basic Earth rocks from supposed radiometric dating, and light years in astronomy, assuming (among other things) a constant speed for light, which may or may not be the case. They overlook the fact that the Bible presents us with newly created humans and animals, and fail to see the inconsistency of insisting on light having a prehistory. The verses attacked are usually Genesis 1:14 or 1:16 or both, which we have examined above, and Genesis 1:1–3, which has been examined syntactically. But there are also semantic reasons against a loophole here for long ages. I therefore wish to conclude with a semantic examination of Genesis 1:1–3. First, whether Genesis 1:1 is regarded as independent or not, the fact is that the same word “earth” is used in both this verse and verse 2. We would therefore expect its meaning to be identical, especially since 1:2 is introduced with a prefix meaning “now”, indicating further information about the same object. It is an overall title to Genesis 1:2 to 2:4a. It records the creation of the primitive material of the universe. It records the creation of the universe described in 1:2 (at the outset of Day One of the Creation Week). Thus the strongest argument apart from, say, Jesus’ statement in Mark 10:6, to confirm the young age of the universe, is the link in Genesis 1:1 and 1:2 through the word ‘earth’. The crux of the matter is, as stated above, that the “earth” of verse 1 is the “earth” of verse 2. It is an Earth “as it came from the hands of the Creator”.23 Hence yes, Earth in a basic form, but not mere materials from which it came. Actually, Exodus 20:11 is more direct and precise, and conveys the sense that “the first day … began with the absolute creation, the very beginning.”24 If all the days are of equal length, and if that length, as “gap” theorists also maintain, is roughly similar to today’s day lengths, then there is no time for any gap within the first day. And if the creation in verse 1 is absolute creation, we cannot place any event before the first day either, since that day is the beginning of time. Table 2. Heaven and Earth in Creation. Can we be sure that the expression “heaven and earth” normally means the entire universe? Yes, and in Table 2 the semantic features are set out for comparison in 35 different Scriptures. Thus the strongest argument apart from, say, Jesus’ statement in Mark 10:6,25 to confirm the young age of the universe, is the link in Genesis 1:1 and 1:2 through the word “earth”. I wonder how many Christians realise that on Day One after the absolute creation of the heaven and Earth nothing else happened besides the creation of light. How long would that take in God’s hands? On Day Two there was nothing else but the formation of an atmosphere, with water above and below, in God’s hands a mere rearrangement of the fluids. Then on Day Three the dry land appeared, together with the greening of the Earth. For anyone who understands that the Earth of verse 2 was the Earth, as Young said, “as it came from the hands of the Creator”,26 there can be no doubt whatever that there is absolutely no time or space left for any gap in which to insert even a small part of evolutionary (millions-of-years) development, be it of the Earth or of the universe (including the stars). Can evolution’s long ages be squeezed into early Genesis? Chalmers led a group of evangelicals out of the liberalising Church of Scotland, but in so doing apparently compromised with changing views in earth science. Return to text. Fields, W.W., Unformed and Unfilled, Presbyterian and Reformed Publishing Company, Nutley, New Jersey, p. 150, 1976. Return to text. Young, E.J., Studies in Genesis One, Presbyterian and Reformed Publishing Company, Nutley, New Jersey, pp. 1–7, 1979. Return to text. Fields, Ref. 2, pp. 150–151. Return to text. Fields, Ref. 2, p. 151. Return to text. Young, Ref. 3, p. 1, infra. Return to text. Young, Ref. 3, p. 1, supra. Return to text. Stambaugh, J., The days of creation: a semantic approach, J. Creation (CENTJ) 5(l):70–78, 1991. Return to text. Kautzsch, E., Gesenius’ Hebrew Grammar, A.E. Cowley (trans. ), p. 247, 1910, corrected 1982. “ … in Hebrew only the noun which stands before a genitive … is said to be dependent, or in the construct state, while a noun which has not a genitive after it is said to be in the absolute state.” The meaning is thus finally dependent on word order. Return to text. The original divinely-inspired autographs of the Hebrew Old Testament contained only consonants, as does most modern Hebrew literature. A few centuries after Christ, scribes indicated what they thought were the correct vowels by certain marks around the consonants. The vowel points were not standardised until the 7th or 8th century by the Massoretes. See: Archer, G.L., Encyclopedia of Bible Difficulties, Zondervan, Grand Rapids, Michigan, p. 40, 1982. Return to text. That is, has no definite article accompanying it. Return to text. Note that there are three possible ways of writing one line of a famous hymn by Mrs Alexander, There is a green hill: (a) Only He could unlock the gate; (b) He only could unlock the gate; (c) He could only unlock the gate. Unfortunately the writer chose (b), when (a) would have been clearer, at least to people today. Form (a) has to mean that He was the only One; (b) is ambiguous; and (c) must mean that all He could do was unlock, etc. We thus see that to change word order means to change meaning. Return to text. Waw consecutive can be logical or temporal. Waw in verse 15 followed by waw consecutive in verse 16 (“God made … ”) does not imply that His making followed “it was so”. It is possible to have two or more consecutives which are themselves contemporary, and this is usual after the verb “be”. But following ones can never refer to a prior event, so long as they are in main clauses. Return to text. Taylor, C.V., The Oldest (Science) Book in the World, C. V Taylor and Assembly Press, Brisbane, 1984. Return to text. Wiseman, P.J., New Discoveries in Babylonia about Genesis, Marshall, Morgan and Scott Ltd, London, 1936. Return to text. Taylor, C.V., Who wrote Genesis? J. Creation (CENTJ) 8(2):204–211, 1994. Return to text. Koenig, E., A Grammar of the Hebrew Language, Part II: Syntax, section 294g, 1897. Return to text. Leupold, H.C., Exposition of Genesis, The Wartburg Press, Baker Book House, Grand Rapids, Michigan, Vol. 1, p. 39, 1942. Return to text. Leupold, Ref. 18, p. 42. Return to text. Leupold, Ref. 18, p. 45. Return to text. Young, Ref. 3, p. 9. Return to text. Young, Ref. 3, p. 10. Return to text. Young, Ref. 3, p. 14. Return to text. Young, Ref. 3, p. 87. Return to text. The implication of this verse is very strong for anyone who has a logical mind. Jesus says that God made [humans] male and female “from the beginning of the creation”. This can only mean that there was no intervening long period between Genesis 1:1–2 and 1:27. 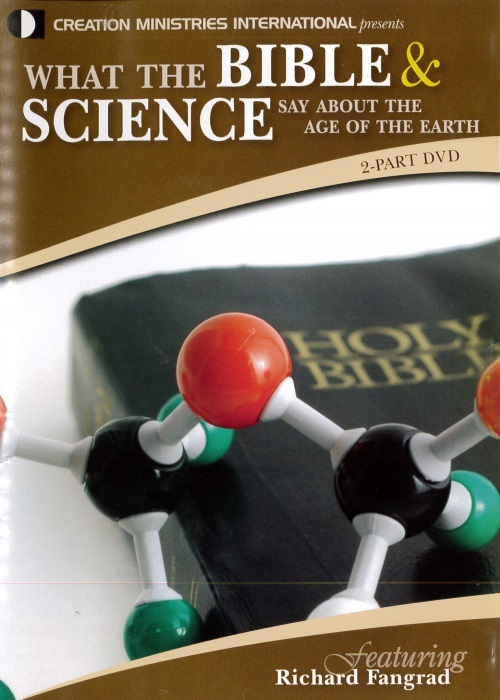 Evolutionists place the creation of the Earth (let alone that of man) some billions of years down the track. Return to text. Young, Ref. 3, p. A. Return to text.